Customizable website for free on all plans. Take a trial, no commitment! 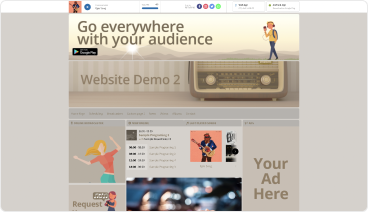 Send the logo of your online radio, set the colors and select the modules to make your website look incredible. 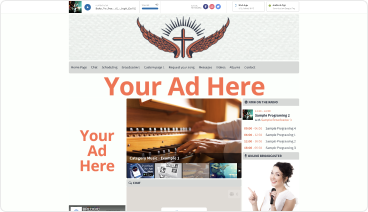 Insert as many banners as you want to get your partners and sponsors on the homepage of your website. 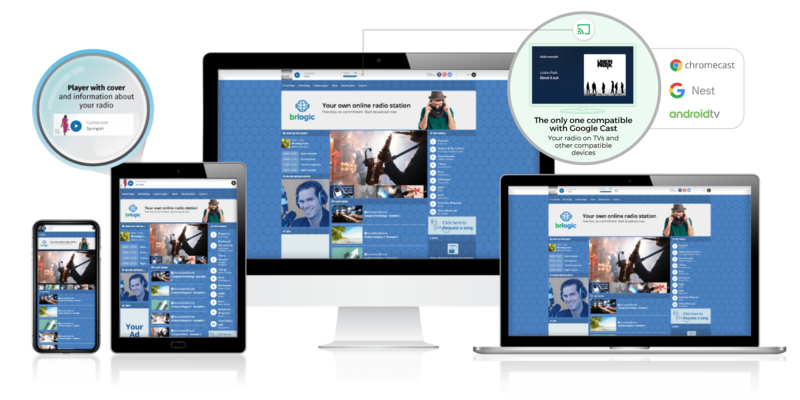 With our HTML editor you can create additional pages to make your Online radio website even more exclusive. 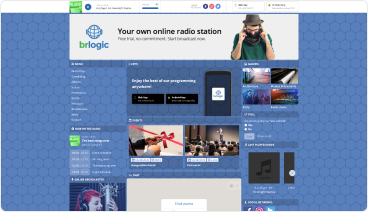 Interact with your listeners in the chat, receiving messages or songs requests directly on the website of your online radio. Install the player from your online radio station on your Facebook page so your friends can listen directly through the social network. The site of your radio in a short version to share in social networks, send messages and song requests, which is ideal share within websites and blog partners. Drag and drop to customize your site. Change the colors, font size, and positions of the modules. Perfect for AM, FM, community radio, churches, DJ's and personal radios.